I've noticed a tremendous inconsistency throughout my years of eating disorder treatment. When I was in treatment for anorexia nervosa purging type, one of the first parts of my recovery was weight restoration. I felt like before I even got into the work of dissecting how/where my eating disorder started, I was required to gain weight. Yet years later when I went to treatment for binge eating disorder (BED) and was at my highest weight, I assumed the first thing my treatment team would focus on would be weight loss, but they didn’t, and they said that wasn’t going to be a part of my treatment plan. In February 2017, Lexie Manion, a blogger, mental health advocate, and in recovery from an eating disorder herself, started a campaign called "#BoycottTheBefore." It took me some time to fully understand Manion’s concept and intentions. I’ve posted before/after photos of my eating disorder recovery, and after her campaign launched back in February, I asked myself what was wrong with those posts. The short answer is nothing, but the reality is that I felt the need to show people that I too was underweight at one point so that they would deem my eating disorder valid. However, I know from personal experience that eating disorders are far more mental than physical. Suddenly, I completely understood why Manion’s campaign is so important and crucial to eating disorder awareness and ending the double standard. It makes people like myself who are in recovery and have good intentions to question why exactly we are posting a before/after photo, and why have I kept those photos for so long? I believe asking these questions are where the work begins. I want to figure out a way to destroy the double standard. If that can be accomplished then I will feel one step closer to ending the stigma around eating disorders. Emily Locke is a college student, dancer, and blogger. She is transferring to North Carolina State University in fall of 2017, and plans to double major in Psychology and English. 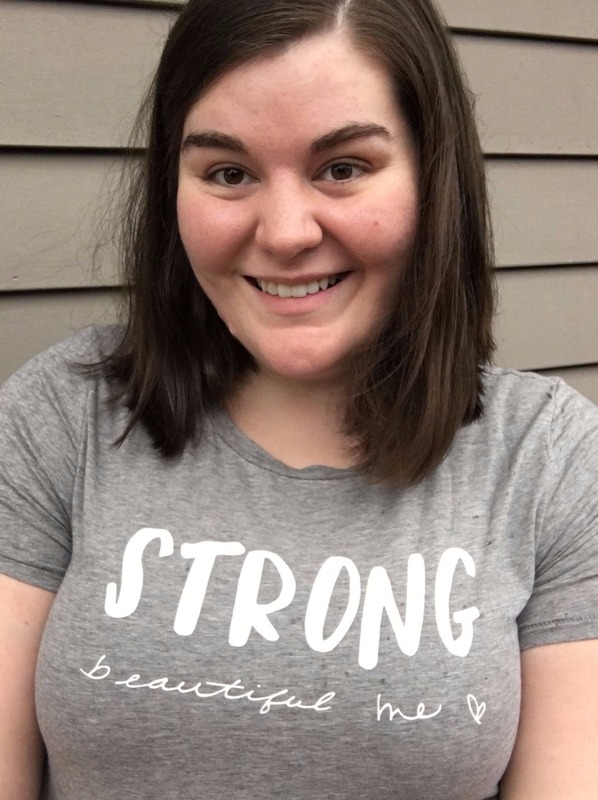 She has battled mental illnesses from a young age, and as a result is very passionate about raising awareness for eating disorders, anxiety and depressive disorders, and promoting a positive body image. She hopes to someday be a published author and eating disorder activist.